Incorporate multifamily housing into the fabric of malfunctioning suburbs--or the Boomers and Echo Boomers will move out, says Galina Tachieva, partner and director of town planning at Duany Plater-Zyberk & Company (DPZ). Tachieva decribes the ways in which the burden rests on multifamily developers to play a leading role this century in reclaiming the sprawl-marred suburbs. Tachieva: First we need to define what “taking back” the suburbs means. The suburbs are not synonymous with sprawl. There are many first-generation suburban neighborhoods, mostly built in the beginning of the 20th century that are functional, compact, walkable. Sprawl, on the other hand, is malfunctioning because of its auto-dependence and segregation of uses. It is not the suburb, per se, but rather the aspect of sprawl that is in urgent need of repair. This means reuse and reorganization of sprawl into complete and robust communities. The repair of sprawl offers substantial opportunities for multifamily development. If we look at the demographic trends shown in recent studies flooding the media these days, we will see that the market is heading away from conventional suburban sprawl. Young people as well as their soon-retiring parents are not served well by sprawl, as they do not need the big houses anymore. These generations (Millennials and Baby Boomers) have displayed strong preferences towards walkable, vibrant and stimulating places made up of diverse uses and housing options. Multifamily development has the very real potential to contribute to good urbanism that is attractive to the emerging markets. Apartments and condos above shops, lofts, and live-work units are among the variety of building types necessary to be introduced to single-use suburban pods. These are the types that form main streets, delineate squares and other public spaces and that can breathe life, new entrepreneurial spirit and a choice of urban experiences into our sprawling communities. 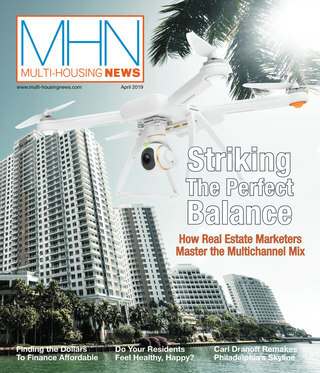 MHN: How can multifamily developers get involved? Tachieva: Multifamily developers can play a proactive role in the process of sprawl repair. Almost all idiosyncratic sprawl types will benefit radically from introducing multifamily development. A mall is a mega-structure with just retail use concentrated in hundreds of thousands of square feet, and multifamily buildings (together with other uses such as office and civic) will be necessary to rebalance and/or replace these extreme quantities of commercial space. Even the most difficult to repair among all sprawl elements, the single-family subdivision, can benefit from infill with apartments and townhouses, in order to accommodate the current demographic shift, and to keep the two largest generations from moving out. The only way for some of these sprawl types of development to survive will be to infill, intensify, and re-balance their monocultural structure. MHN: In what ways do multifamily developers need to be thinking differently when they are involved in projects to transform suburbs? Tachieva: Like everyone involved in the future of the real estate industry, multifamily developers need to become more adaptable to the challenging economic circumstances that we’ll be facing for a while. Apartments above stores, or inexpensive, simple loft structures, should not be the exception anymore but a necessary component of more sustainable, repaired, mixed-use nodes. In addition, multifamily development should not necessarily be associated with high-rise development; mid-rise is a relevant contender as great infill that will shape new town centers in the sprawling suburbs. 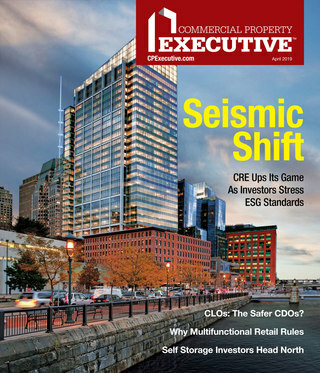 Multifamily developers should think at the regional level about how their project will fit the larger context, but they also should be aware of the smaller opportunities, at the level of the single block and even building complex or building. Unconventional thinking will be in demand, this is certain. MHN: Would you agree that the modern, 20th Century suburb is ugly and soulless? If so, how and why? Is “sprawl” the primary problem with the suburb today, or does the problem also have to do with aesthetics and architectural design? Tachieva: As already stated, there are great 20th century suburbs that are still among the most desired real estate anywhere in the country. It is the sprawl of the 20th century as a development pattern that is the problem, not its aesthetics or specific architectural expression. Actually there is certain simplicity and logic in the patterns of sprawl; it is simple to understand and not difficult to design and build especially in light of all funding and regulatory instruments created to support it. What is difficult is to endure its consequences: the long commutes, the complete auto-dependence, the mandatory maintenance of a car for every adult in every household. To live in sprawl, to raise kids and care for aging parents is becoming increasingly expensive, sometimes impossible. It is no surprise that numerous sprawl developments, particularly those in the far-flung exurbs, have recently suffered some of the highest rates of foreclosure. Many homes, and even entire subdivisions, have been abandoned. So, the real problem with sprawl is that it is malfunctioning: economically, environmentally, and socially. It has underperformed for decades, but its collapse has become obvious with the recent mortgage meltdown and economic crisis, and its abundance magnifies the problems of its failure. Sprawl is central to our inefficient use of land, energy, and water, and to pollution and greenhouse gas emissions. Because it requires a car to reach every destination, it is also to blame for time wasted in traffic, the exponential increase in new infrastructure costs, and health problems such as obesity. MHN: What is involved in “repairing” the suburb? Do you have to demolish the existing strip malls, malls, etc.? Tachieva: The demolition of failed buildings in conventional sprawl is only one of many strategies that can be employed in the process of sprawl repair. A shopping mall can be embedded in new, mixed-use fabric of multifamily and office buildings, with its main structure preserved, while a second strategy might preserve only the anchors of the mall, creating a main street between them. The design options are various. However, sprawl repair as a method needs to be introduced comprehensively, which means that we need to apply excellent urban design strategies, but also think about regulation and codes, as well as funding and incentives – the same tools that made sprawl the prevalent form of development. At the same time, we will need to repair at all urban scales, from the region down to the community and the building – from identifying potential transportation networks and creating transit-connected urban cores to transforming commercial pods into town centers, reconfiguring conventional suburban blocks into walkable fabric, down to the adaptation of single structures. In all these instances, multifamily infill will be an essential component to consider as higher density will create the necessary support for future transit and mix of uses. MHN: In transforming suburbs, how do you “redo” existing garden apartments? Tachieva: Garden apartments are multifamily enclaves that in most cases consist of a single building type. Apartments are essential as residential choices, but they are typically built in isolated, gated pods, lacking diversity of uses and most importantly, walkability. Rather than using a rational block structure, they are composed of dead-end streets and cul-de-sacs, oversized and underutilized parking lots (instead of gardens) in front of randomly or intentionally “picturesquely” placed buildings. The tools for transforming a garden apartment subdivision into a complete and diverse neighborhood include the introduction of additional building types: shops, live-work units, offices, and possibly hotel and civic uses. The streets and cul-de-sacs need to be connected, and the surface parking lots better utilized through the addition of garage structures, to allow greater flexibility, density and mixed uses. A gathering place that adds to community identity must also be created. These developments are often located at the intersections of arterials or collector roads, which make ideal sites for urban squares and regional transit stops. The squares can also reverse the odd way in which these developments presently turn their backs to the surrounding context. By allowing the repaired community to face the thoroughfares with useful shops, cafes, and offices, the newly created square provides visibility to passing traffic and announces the existence of the new mixed-use node. Because of their amenities and the potential for connectivity, convenience, and transit such nodes are ideal locations for lifelong communities where seniors will want to live. A developer who chooses to repair a multifamily suburban pod will need a series of incentives. They include, but are not limited to, additional development potential, permitting by right, and financial incentives for transit infrastructure and garage structures. These could be provided within a larger regional framework of sprawl repair that will create the necessary high-density nodes to support better connectivity and possibly transit. MHN: What are some of the examples of suburbs across the country that have been “taken back”? Is this a growing movement? Tachieva: There is definitely a burgeoning awareness throughout the US and around the world of the necessity to deal with sprawl. A growing number of initiatives are focused on solving the pressing problems of sprawl that recognize the unique opportunities that now exist, including real projects that are already built or currently coming out of the ground. However, it is difficult to identify suburbs that have been wholly “taken back.”There are incremental successes at the scale of a shopping center, a mall site, or an office park retrofitted into walkable town centers, and even individual structures such as big boxes converted into civic buildings. But so far dealing with the structural failures of sprawl on a larger scale has been conceptual rather than real redevelopment on the ground. MHN: Is the suburb in its present form another design/architectural/planning mistake of the 20th/21st Centuries modernism and post-modernism? Tachieva: Sprawl in its present form is definitely a mistake‑we see and feel its consequences all around us. Modernist planning principles of single-use zoning contributed to institutionalizing sprawling patterns of development but there were also direct and indirect governmental incentives for its proliferation. We should not dwell too long on the reasons and perpetrators of sprawl, nor on the obstacles and problems for its repair. We should go ahead and deal with it today in a straightforward and even aggressive manner. We have the tools to do it.